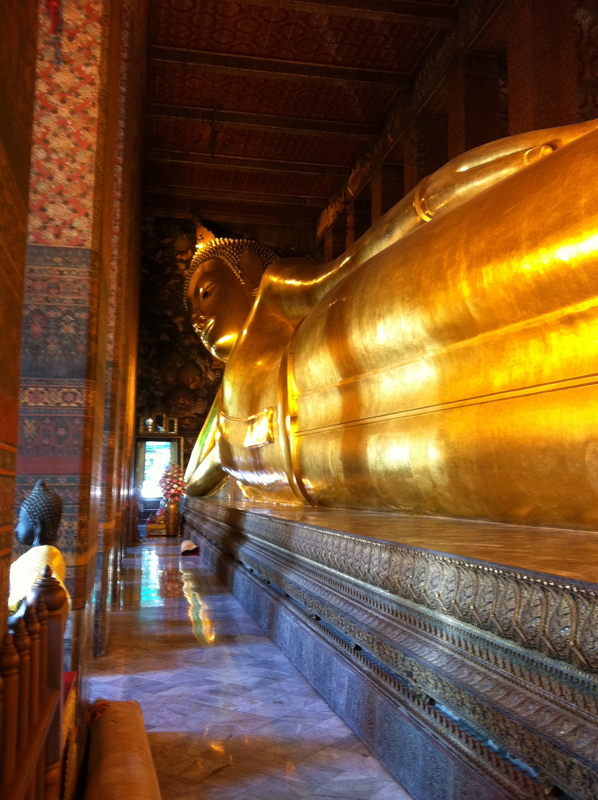 Wat Pho has a huge Buddha- the reclining Buddha. It’s fun to take someone visiting Bangkok to see the reclining Buddha and watch for their “oh damn, that is a big Buddha” look. The bottom of the feet are great- inlaid mother of pearl images. Wat Pho is always swamped with tourists, but this is a must see. Try going at off peak hours- if you can stand the heat, visit in the late afternoon. Don’t miss the murals on the walls around the reclining Buddha, some cool paintings. 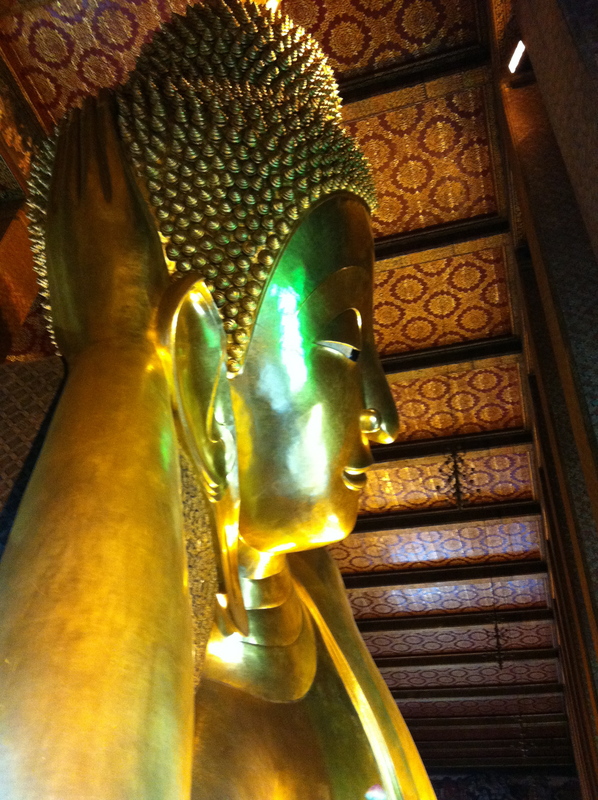 This entry was posted in Bangkok, Buddhism, Landmark, Sightseeing, Wat and tagged reclining buddha, Wat Pho. Bookmark the permalink.